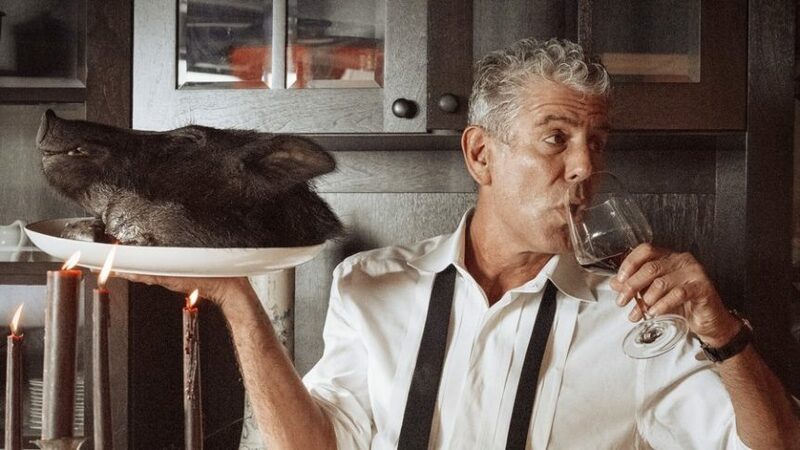 the world learned about the death of Anthony Bourdain. For most of us, it was the first thing we heard after we opened our eyes, as it happened overnight. Whether by text message, social media post, or the news, we all woke up to tragedy, and then went about our day. I watched the social media tributes pour in over my lunch break, and I wrote a short one of my own that evening after dinner. But after two weeks, I still find myself focusing on it and so, it seems like my body is telling me to write some more. I’ve now lived through a fair amount of celebrities passing, from old age or something worse. It always seemed silly to me that we give more weight to celebrity deaths than others. After all, about 150,000 people die every day. It almost seems unfair to give more attention to one over another if its someone who I haven’t met. So I’ve been searching my brain trying to figure out why I can’t seem to let this one go. Not only me, but so many. I thought maybe I had a closer affinity to him because we worked in the same field. But the sentiment that I hold is shared by millions, and surely they don’t all work in restaurants or TV. And while we all love traveling and travel shows, I can’t imagine we would have nearly the same reaction if other travel show hosts had passed (to be clear, I hope they all live long, happy lives). But I watched an episode of “Part’s Unknown” the other day and could barely get through it, and started to ask myself why. While so many celebrities are forced onto us through record labels, media companies, or are kids of producers and media moguls, we chose Tony ourselves. No, there was never an election. But his career started humbly. He spent years in kitchens learning his trade, working the way you or I would. He started as a dishwasher and worked his way up; a huge cliché in the kitchen world, but it’s also one of those “it’s a cliché for a reason” things; so many chefs get started this way. He spent years working his way up to head chef, all the while battling crippling debt. I can’t tell you how many of my generation can relate. He was already in his 40s when he wrote the famous “Don’t Eat Before Reading This” which led to “Kitchen Confidential” that launched his career. There’s something comforting about knowing that things can all turn around at 40 in a way other than the lottery. And the more we watched, the more successful he became. We followed him to bigger and bigger networks. He wasn’t forced on us: he was embraced by us. It’s a small but important distinction. He was genuine to a fault. He was an artist, writer, and poet at heart, and the work always reflected that. No clothing lines, branded knives, or endorsements in the show of any kind. It’s the reason he left the Travel Channel after they broke his trust. His word was all he had, and he didn’t want it “tainted”. That “your word is all you have” line is one my father told me growing up, and I expect many of your parents did the same. There aren’t a lot of celebrities (read: role models) who subscribe to that. Many may claim to, but few do. He was by no means perfect, as he reminded us many times, but he seemed to always strive for the best he was capable of. Not in a “I hate the fame” kind of way, more in a “I’ve always been like this so why would I change now?” kind of way. His commentary was honest. You couldn’t listen to him talk and have doubt that what he was saying wasn’t how he truly felt. And he somehow managed to do that without being exceedingly polarizing. While the world around him screamed and yelled, Tony only sought truth. He didn’t push a side of the story: he told the story the best he could and let us make our own conclusions; only to hope that our conclusions would be challenged again at some point in the future. whereas so many try to hide them. It allowed us to view him as an equal rather than a celebrity. You felt like you knew as much about him as you did your friend or sibling. There were no airs or acts, only a real man living the life we all wish we could live. He sucked in every moment, aware of its bigness on the grand stage, while realizing its importance on a micro by respecting the people he was with at that very moment. but not for the reasons you may gravitate towards. It’s too easy to say we all want to get paid to see the world. But this was never about food, drink, and travel. At least not to me. It was about taking an hour to be inspired, challenged, shocked, and awed, all at once. To explore the things that make us common first, unique second, and divide us never. And there was no better person to take us there.